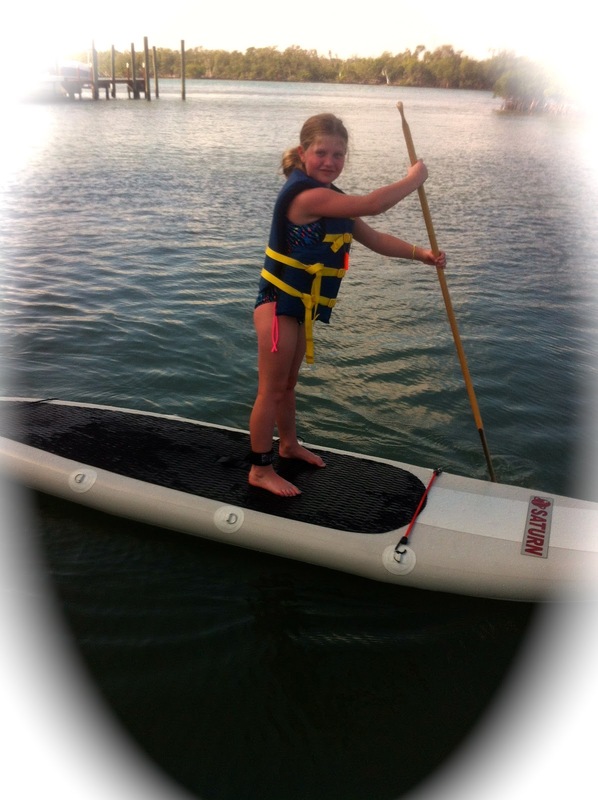 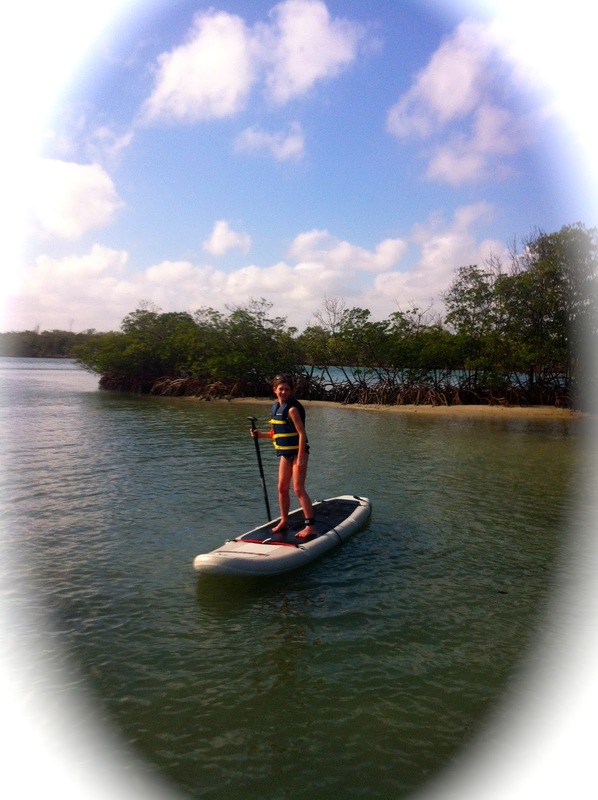 Snowbirds fly down to South Florida for some "Fun in the Sun"
Neve turns out to be a natural at paddle boarding...she glides through the water with such grace! 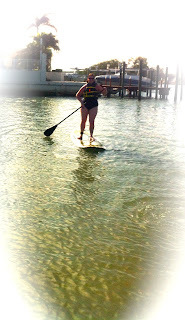 creature from the dark lagoon! Lynn came to help....but really to have fun! 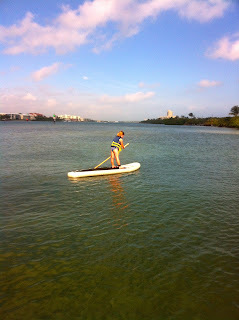 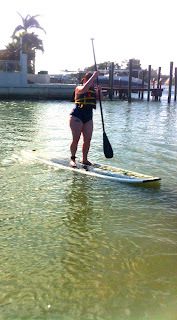 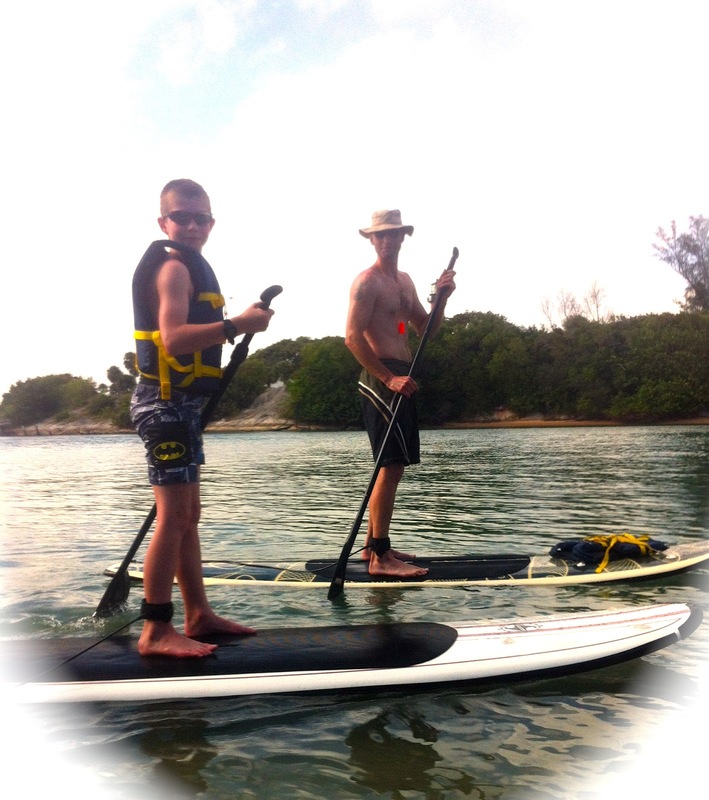 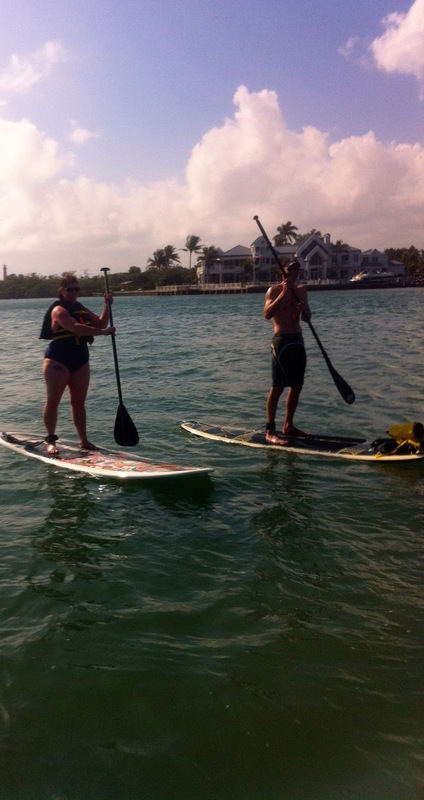 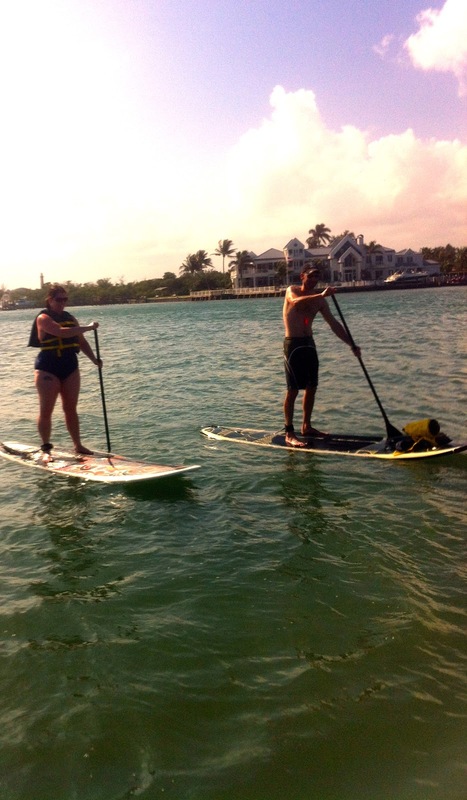 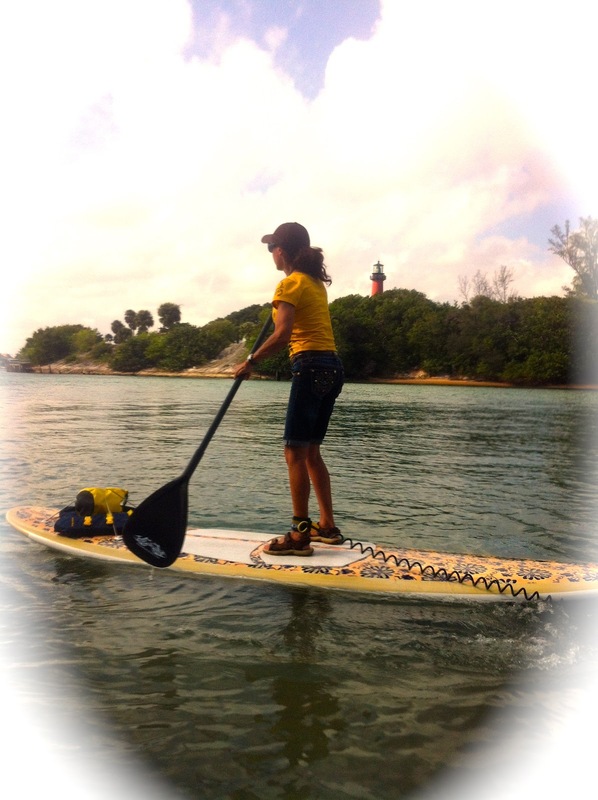 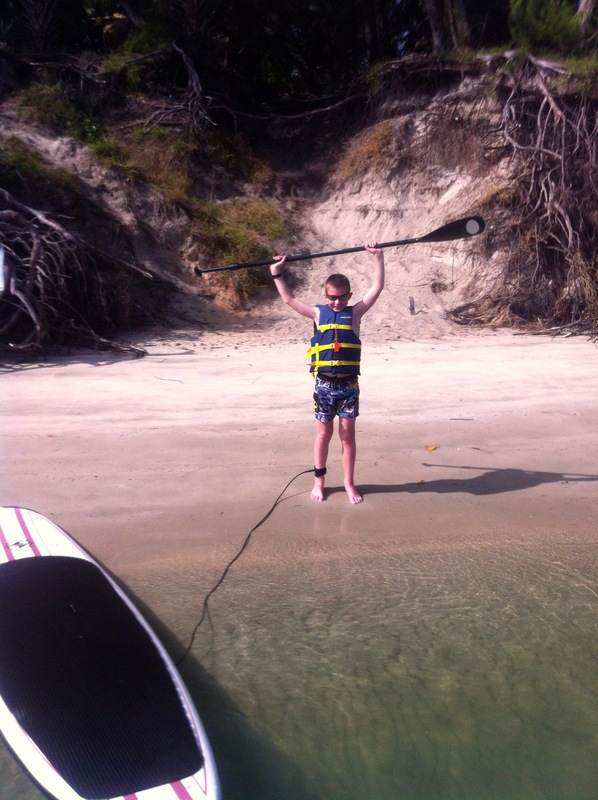 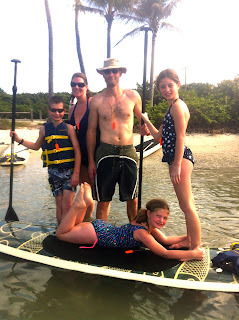 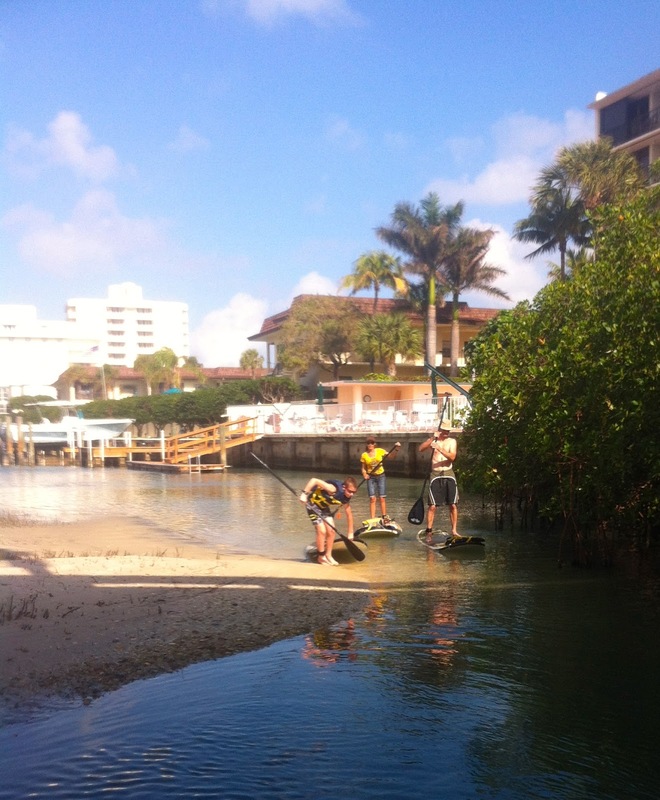 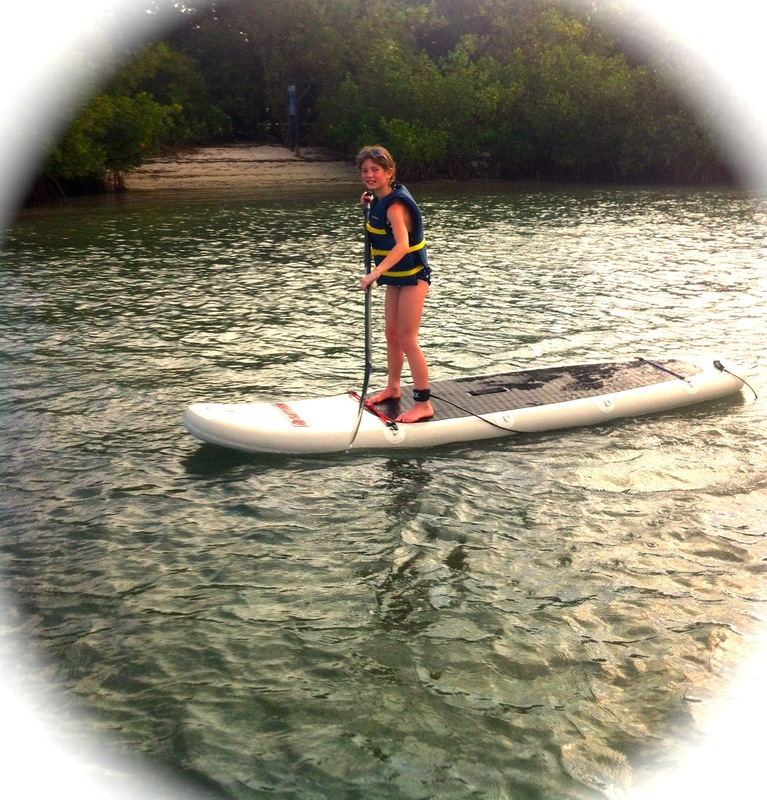 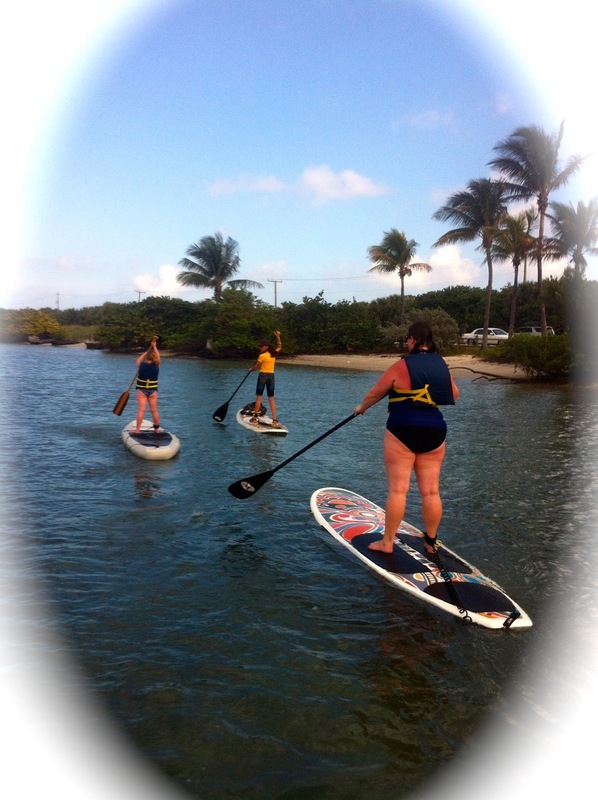 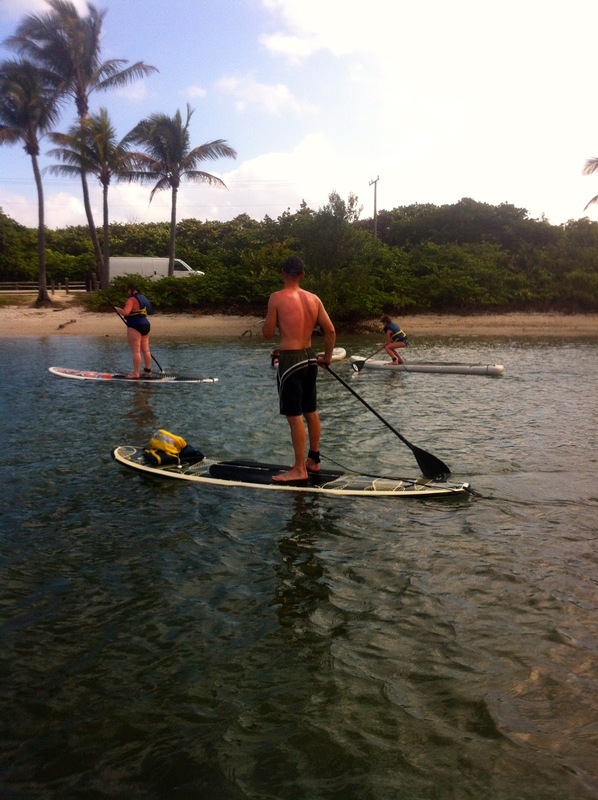 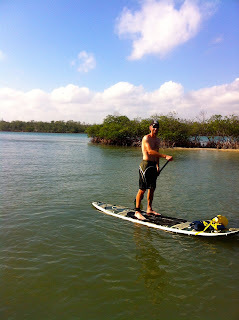 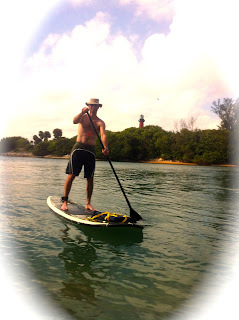 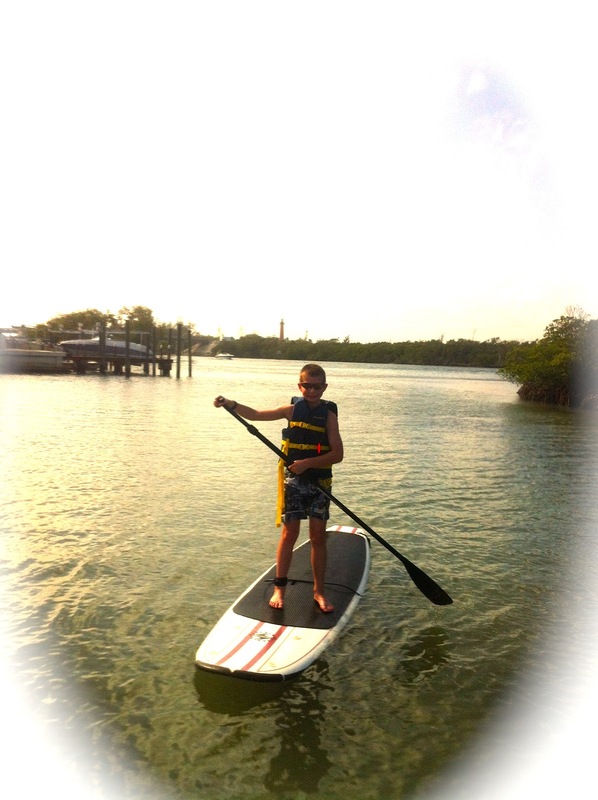 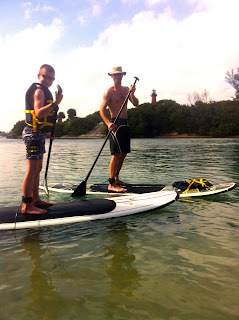 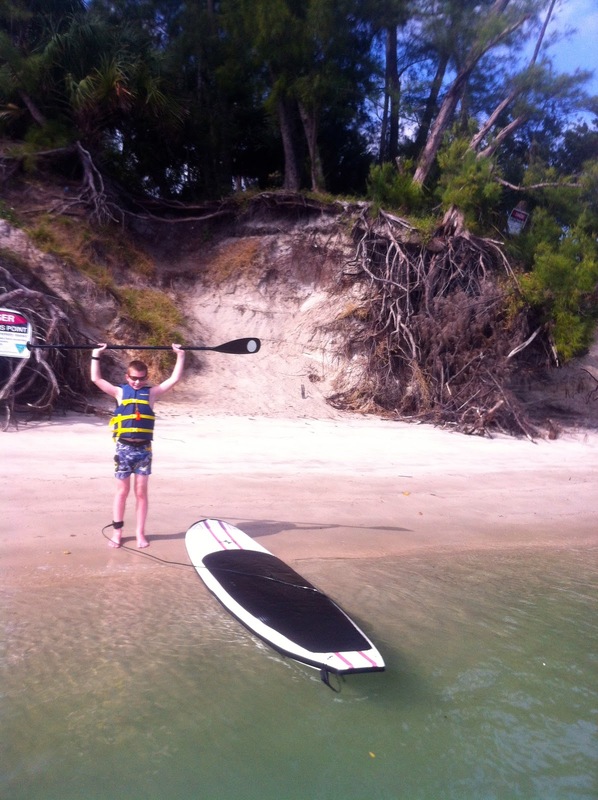 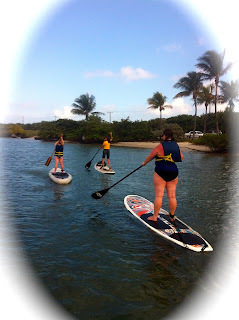 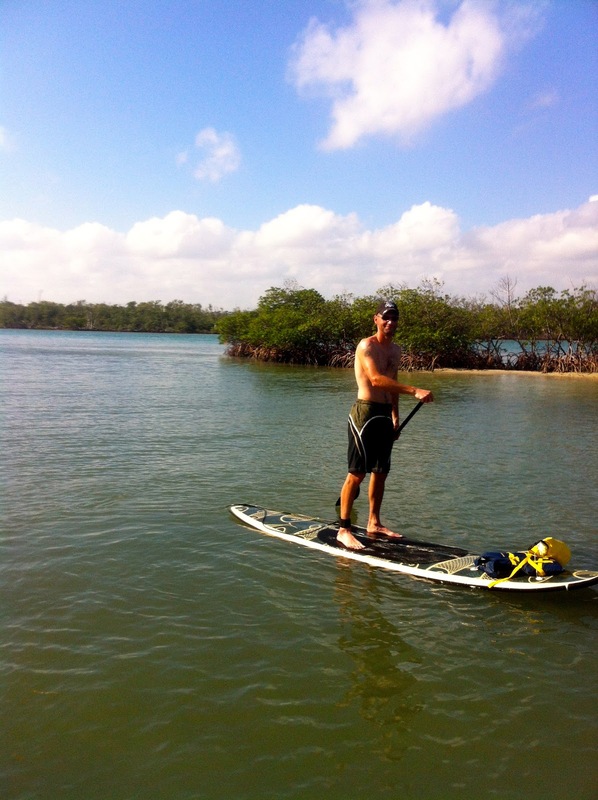 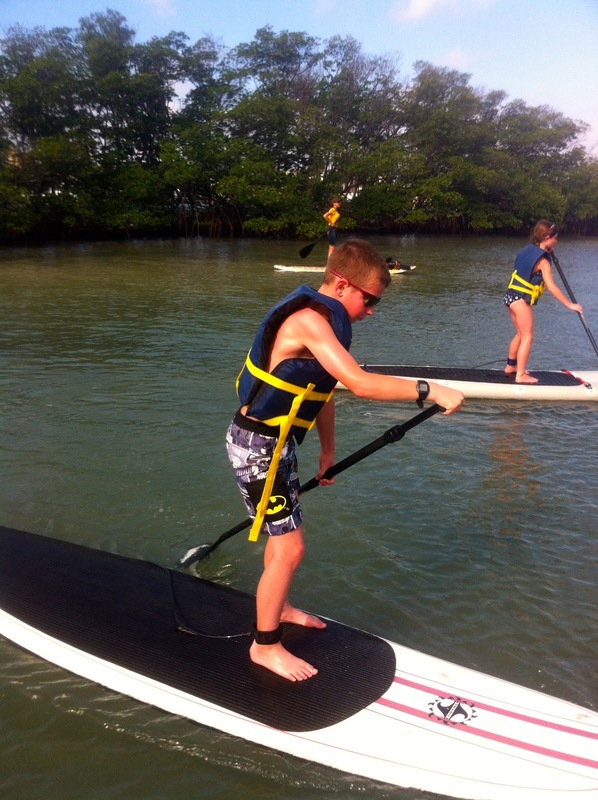 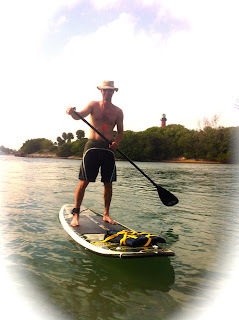 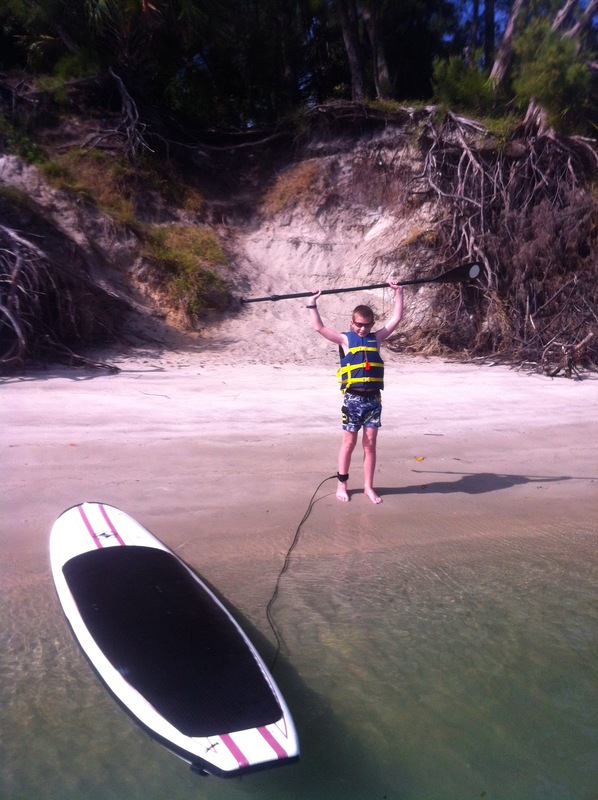 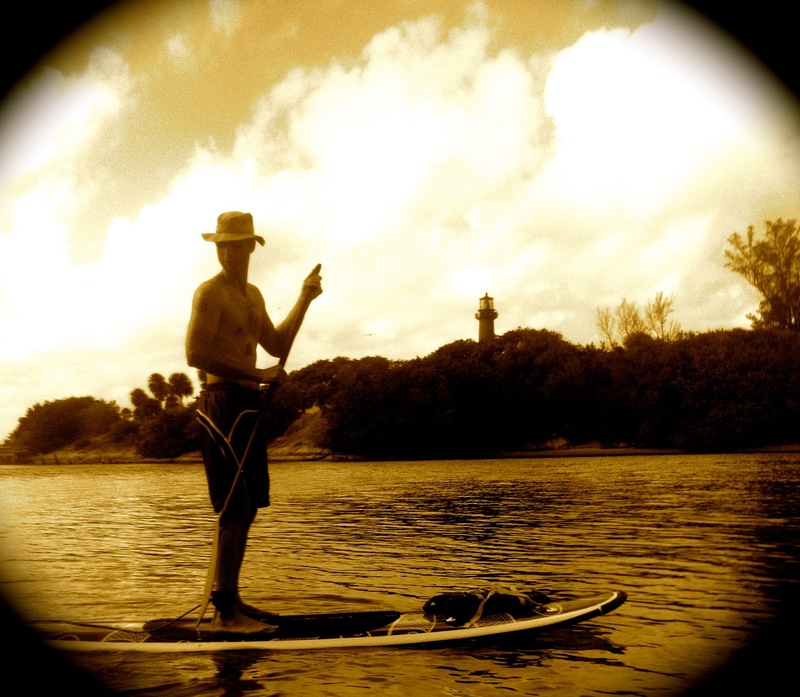 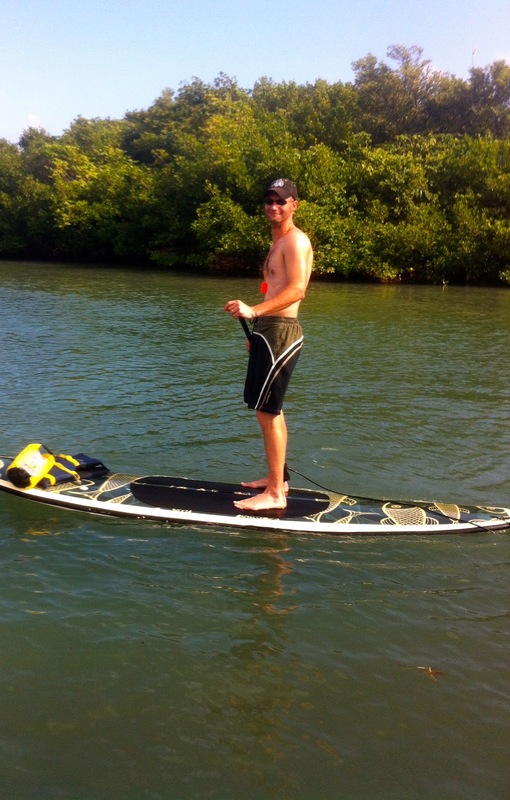 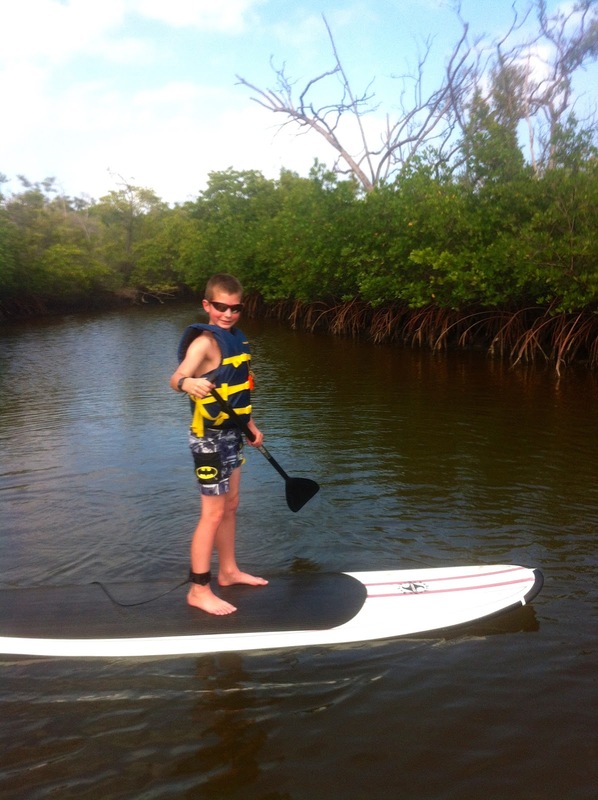 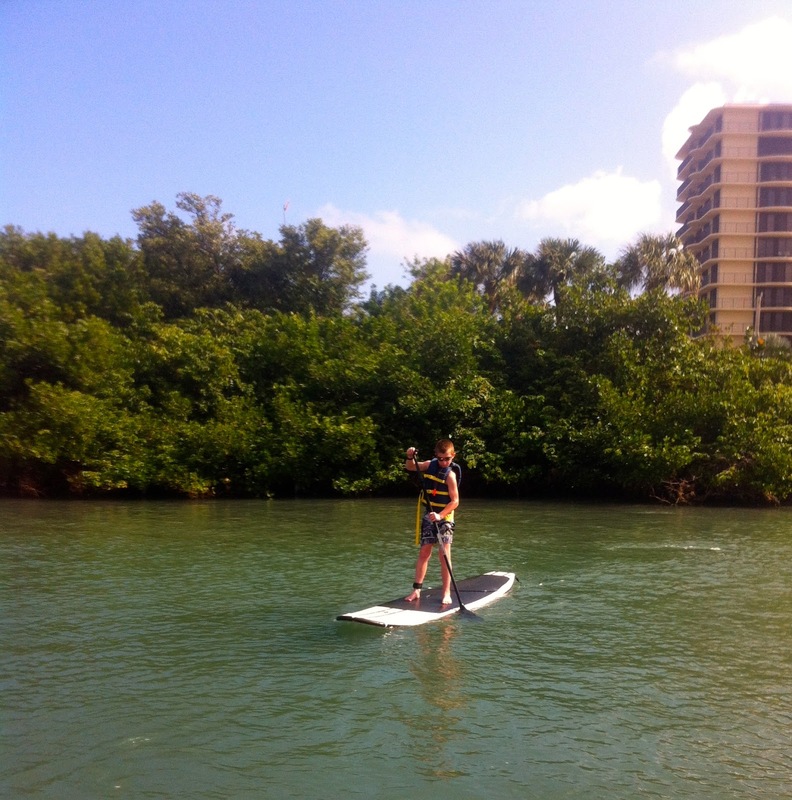 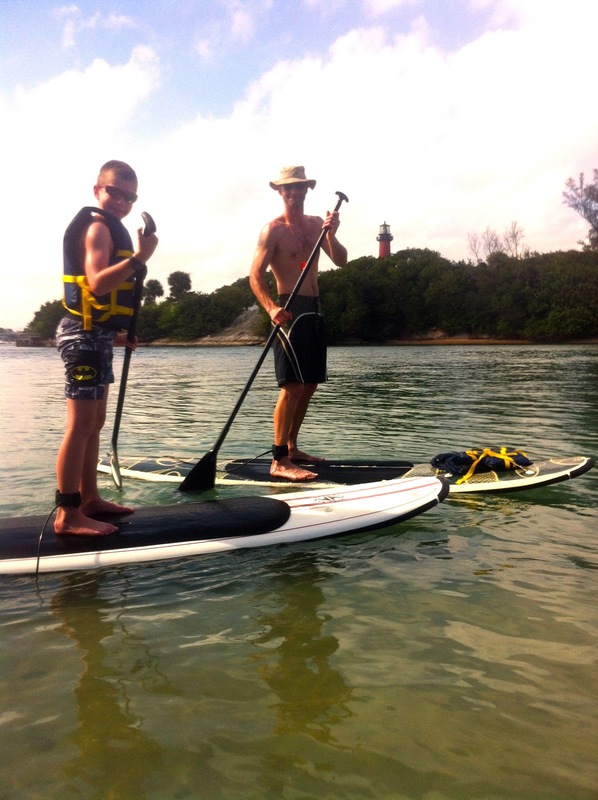 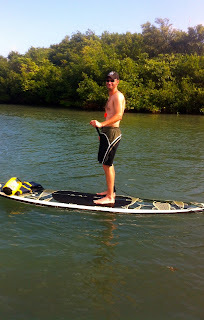 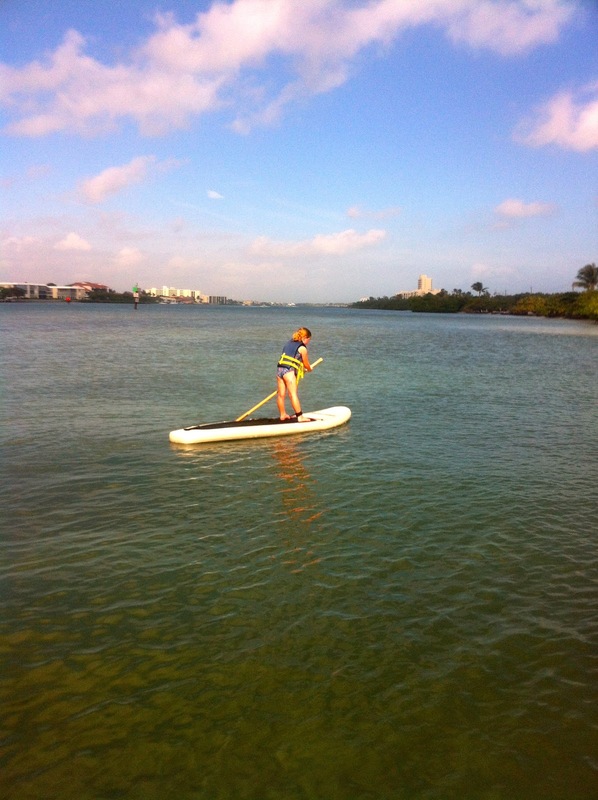 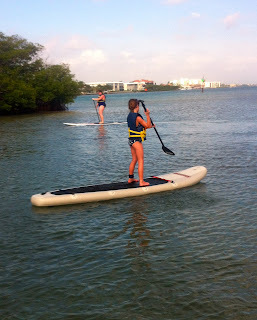 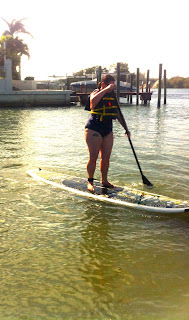 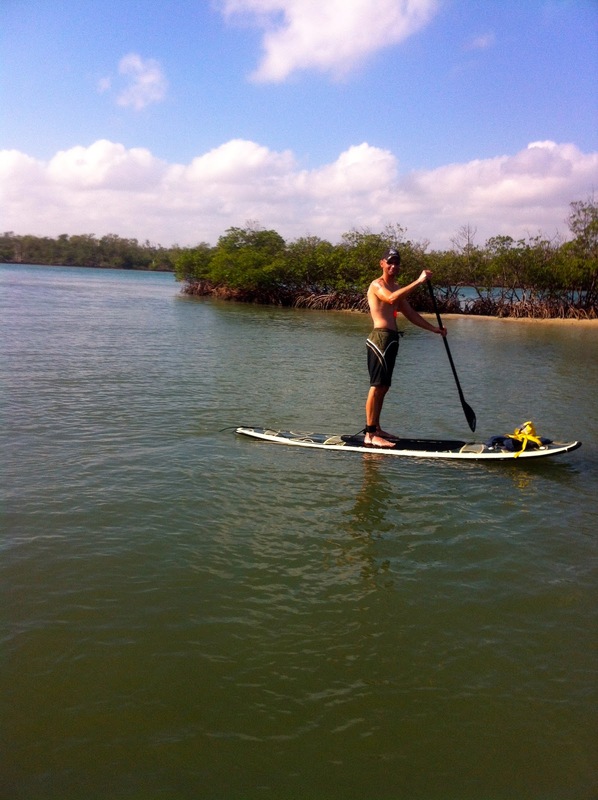 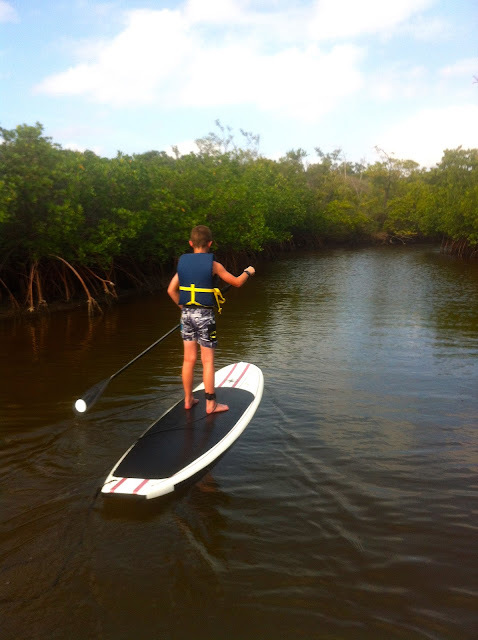 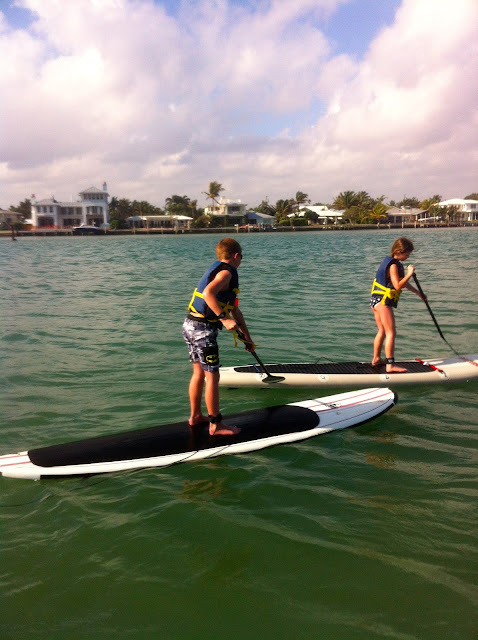 Paddleboarding off the Jupiter Inlet is a great experience especially in January. 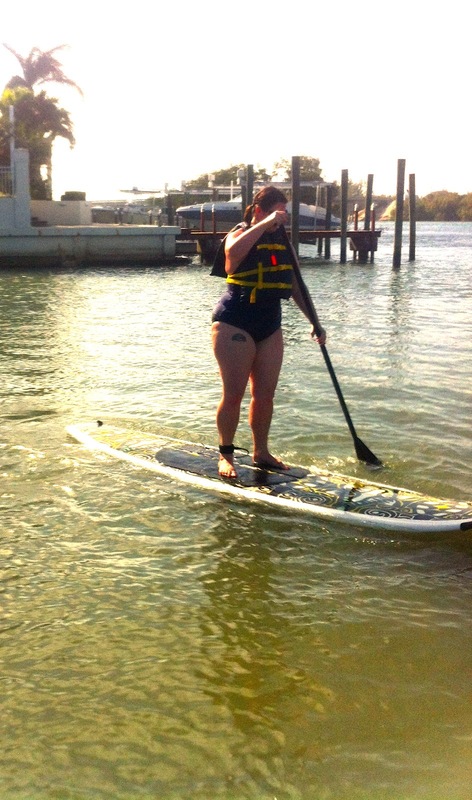 We were able to spot a manatee on the way down to the lighthouse. 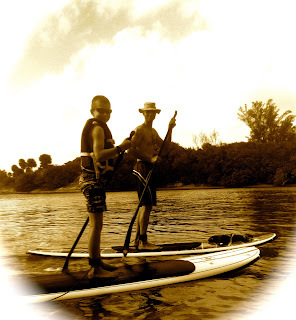 Nothing like walkin' on water with the sun on your back checking out the beautiful scenery and wildlife around Jupiter Island, home and playground to millionaires......but hey....non of us were millionaires but we enjoyed God's creation just as much without the yachts and mansions! 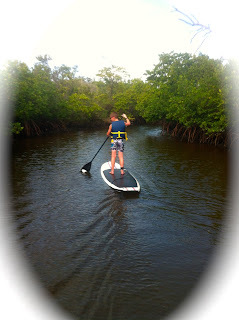 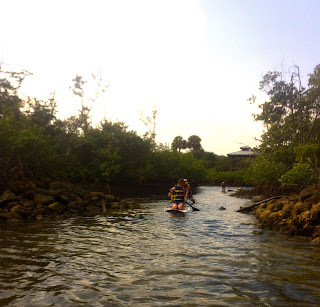 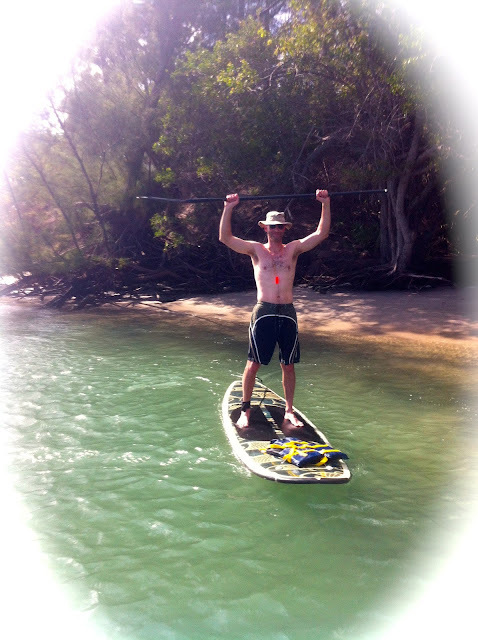 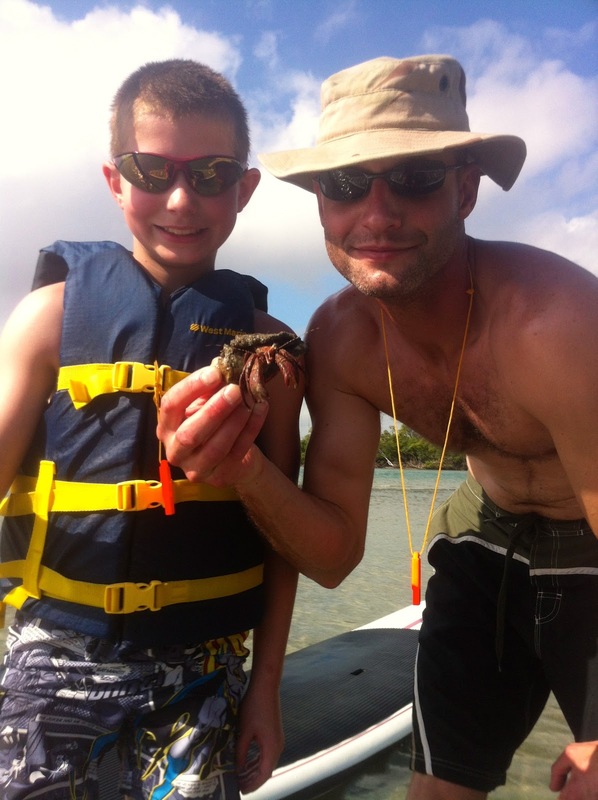 Jungle cruise on paddleboards...watch out for the gators!....not really!